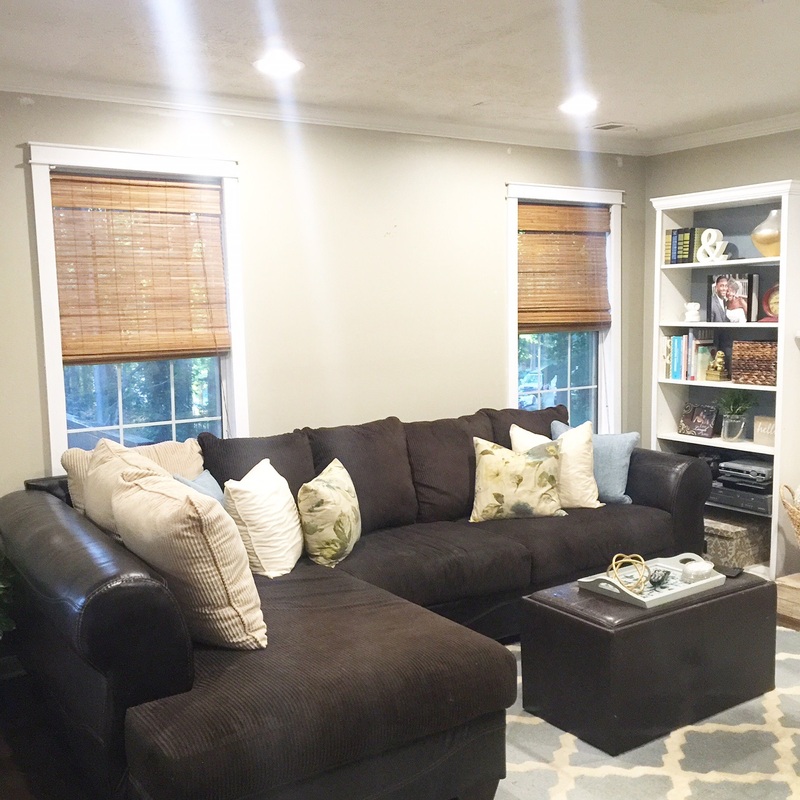 As you can probably guess from this post, my big brown sofa was not one of my favorite items in my home. Don’t get me wrong, it wasn’t bad and served my family very well, but it just didn’t fit where I was going with my home. Well, let’s fast forward to a water damage situation that occurred to my brown sofa, and it was totaled out! 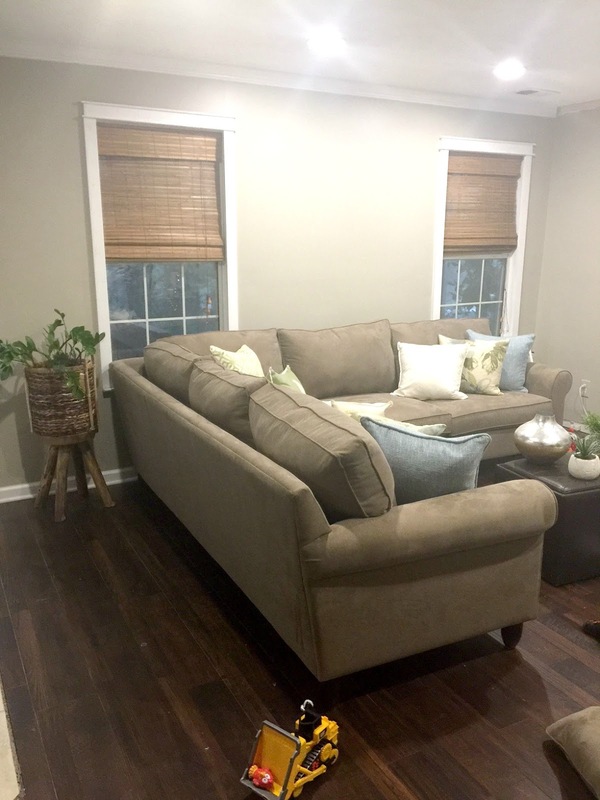 This led me on the hunt for a new sofa, and since I knew that I would be living with this sofa for a while, I knew it had to be a perfect fit for my family. 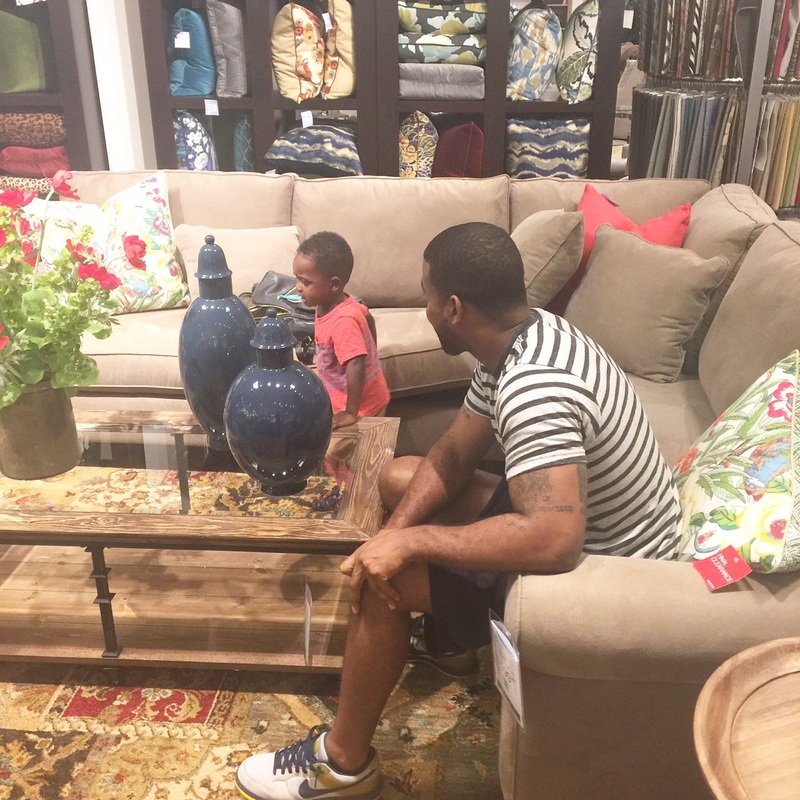 I searched lots of stores as I had a particular sofa style in mind. I wanted a sectional, that was firm but comfortable. I also wanted a lighter color that was still family friendly and could be cleaned well. After searching for a couple weeks, I happened to see an ad on the side of maybe Facebook or something for the Amalfi Sectional at Havertys furniture. It comes in 2 pc options and 3 pc options. We went with the 2pc option which was perfect for our space. I went to see it in the store, and lets just say I fell in love! We went with the Almafi 2 pc in Cappuccino which is the perfect family friendly neutral in my opinion. The material is microfiber. I love its clean lines and that its less bulky than my last sofa. I think it fits the space perfectly. I still have my blue rug, its just rolled up for now. This room is currently going through other changes as I got a great deal on a major upgrade. I will share more about that soon. The kitchen is coming along as well. We just need to install the backsplash and floating shelves and I think we can call that project DONE! So what do you think of the sofa? What have you guys been up to? I hope you all are having a fantastic week. Until next time. Next Post Hey Ya’ll, Let’s Talk Fall: Fabulous Free Printables! When I get my apartment, I'm going to hire you! LOL! I love it Erin! Nice clean line and you can go in any direction with the color. Good choice. Also, love that little stool/plant stand. Love it! It lightens up the room and look like a perfect fit for the space. Hey Erin! I love the new sofa! I love the new sofa, Erin! I love the lines and it makes the room look even brighter!